Jared B. Arnold is a life-long resident of St. Clair County. Jared graduated from Victory Christian High School in Pell City, Alabama in 2003. He then proceeded to Snead State Community College on an academic scholarship. Jared transferred to Jackson State University where he graduated in 2007 with a B. A. degree in Political Science/Public Administration. 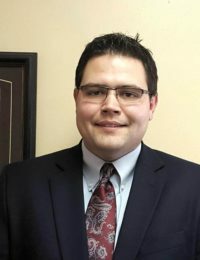 Jared worked full-time as a law clerk in St. Clair County District Court for the Honorable Phillip K. Seay (now presiding Circuit Judge of St. Clair County) and then, as an aide for special needs children for the St. Clair County School System, all while attending Birmingham School of Law at night. He graduated from Birmingham School of Law in 2010. Jared and his wife Courtney have two daughters, Madelyn and Myla. They are members of Victory Christian Church in Pell City, Alabama. 8 years since Jared B. Arnold was first licensed to practice law.